There's nothing like "IRL" to make a lasting impression. So I put people, products, and companies in front of the right audiences, and make sure it all goes off without a hitch — from negotiating sponsorships, to managing the finest detail (lav or podium mic?). 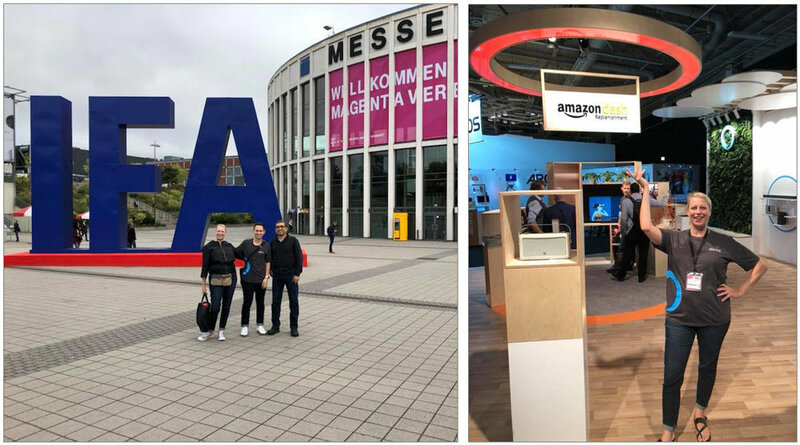 The Alexa Voice Service (AVS) team spearheaded Amazon’s presence at IFA in Berlin. From this event, we launched six new Solution Providers for AVS, and promoted existing developer solutions. Calix launched an Alexa built-in smart home ODM solution for communications service providers. 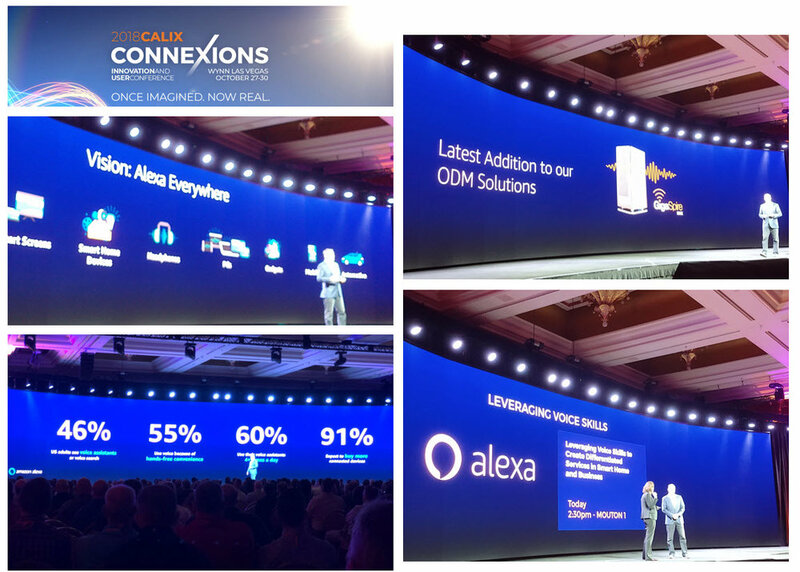 Calix launched at ConneXions, their annual event for ~2K customers, where the head of AVS Business Development delivered the keynote address. Internal communications about the Alexa Voice Service is an important part of recruiting efforts at Amazon, where a dynamic career path is supported (if not encouraged). I collaborate with HR for talks in Silicon Valley, New York, and Seattle. For several years, the Kinoma team from Marvell has exhibited at SXSW. Participation in this event includes a substantial bespoke booth, large staff, new demos, product rollout, campaign launches, product sales, and networking. Event reports from 2016, 2015, and 2014 can be read on the Kinoma blog. Marvell takes a sales suite every year at CES, while the Kinoma team holds meetings throughout the event, and the head of the team speaks on panels and delivers keynote addresses. Event reports from 2016 and 2014 can be read on the Kinoma blog. The IoT Stream conference needed a spokespeople to address "Crowdfunding vs. Venture Funding." I've been at startups with VC backing, and participated in a successful Indiegogo campaign. So I was invited to the panel. Typically I work with those serving as spokesperson; it was a welcomed opportunity to be the one representing. Reaching the enterprise audience was also important at the launch of Kinoma Create. I cultivated a relationship with the editorial director at an earlier SXSW by offering her the first interview on our crowdfunding campaign launch. We also elected to sponsor Structure Connect. The event was a strategic success. Speaking opportunities, media interviews, exhibiting, and showcase inclusion — I've arranged the gamut at O'Reilly events, including OSCON, Solid, and Fluent. Event reports from O'Reilly Solid 2015, O'Reilly OSCON 2015, and O'Reilly OSCON 2014. Each event is through Make Media, but each location brings a unique experience to the sponsor and the attendee. Each Maker Faire represents the cultures and predominant industries of each geography, while requiring exhibitors bring their best technologies and projects to delight, inspire, and inform every age and background. Maker Faire sponsorship is not for the faint of heart. Hackathons are an intense experience for the participants, and an excellent way to get your technology into the hands of eager inventors. I've secured and managed the participation in hackathons and workshops through MIT, the Association for Computing Machinery, and University of Massachusetts.